Confession time: I used to disdain the Seven Years War. I am not sure why. It is like US history from 1865-1898, it just bored me. I treated it like I did my memories of the 70's; a burnt orange, avocado green, Carter's "malaise speech" filled, butterfly collar nightmare best locked away in the deep recesses of my mind. Imagine my surprise then, when the military history module of the US Army's staff college actually piqued my interest. I stopped looking at it from the social aspect and recognized a time period like the Napoleonic period, but with more potential for dynamic action. Most importantly it appeared to be a time where the Austrians (the Chicago Cubs of European history) can, and did, actually win some decisive victories. Frederick the Great, while an excellent strategic planner, made some whopping tactical blunders leading to massive reversals. Finally the 11th hour turn of heel on the part of the Russians under Peter II makes for a wonderful head-scratching moment for world history. On top of all of it, I think the seven year's war is the best candidate for the the real First World War. I committed myself to seeing if the feeling would past and stockpiled my earnings from the sell-off of old and neglected projects with the intent of using it as the seed for my next big project. 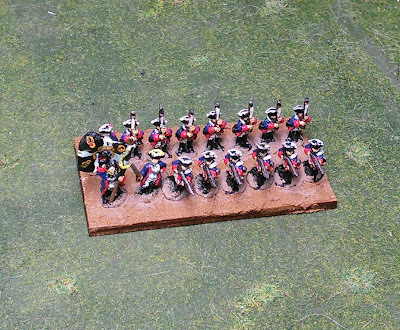 A post looking for some used figures netted me the gift of some Pendraken Prussian Musketeers from one kind soul, so I guess the die has been cast. I had a two week school that required me to live in a hotel near Montpelier last month, which provided some micro-scale painting opportunities. 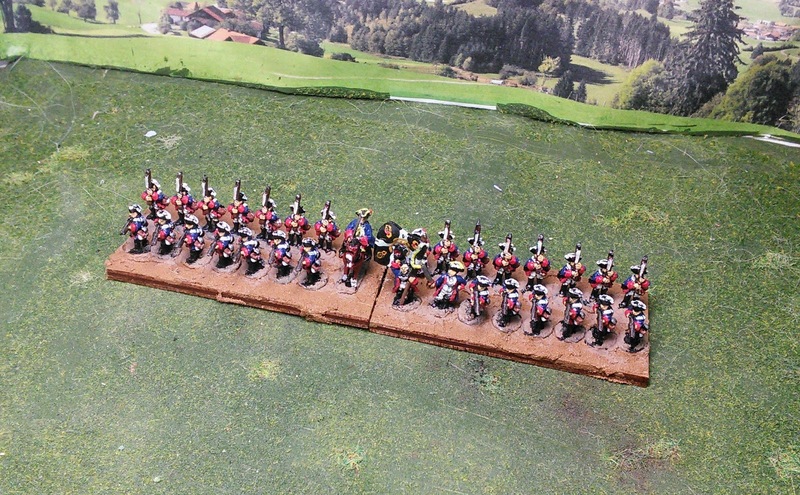 I managed to paint about five regiments worth of Prussians, and so now comes the next challenge: Basing. 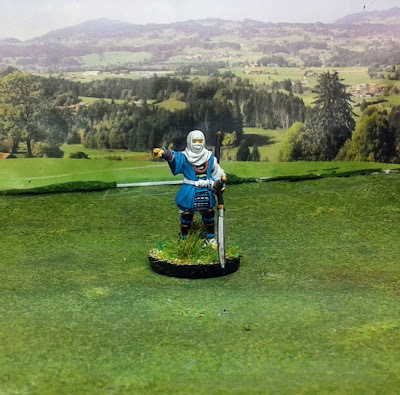 Jon's 15mm collection is based on 120mmx30mm stands, and I like the look of them. 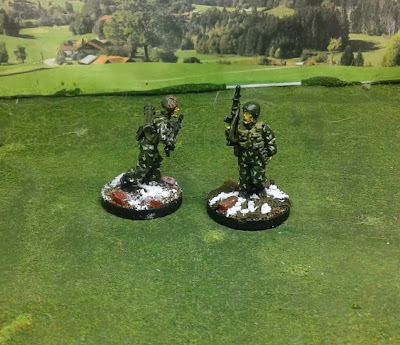 I originally intended to use a similar base size, and further add the battalion guns to my smaller scale units. 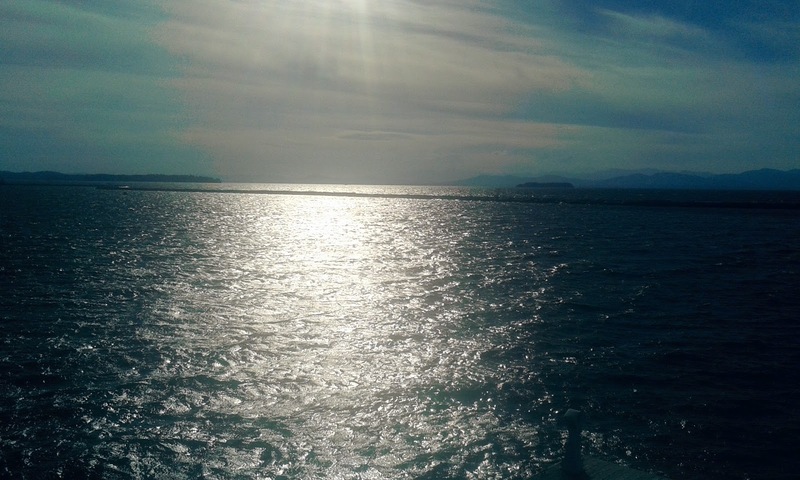 Getting the entire collection home, however, has changed my view however. 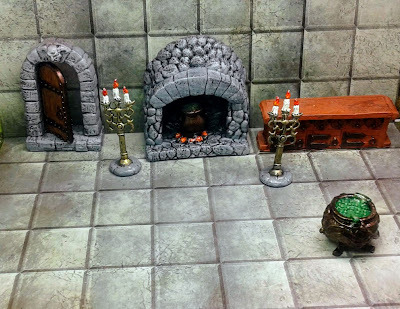 I really prefer using single base units, but they do suffer on the tabletop for things like forming columns, or aligning with terrain contours. The two base/unit solution works well, but it often results in the the asymmetry of alignment with the command group. Before you know it, you are using 3-5 bases. The only downside is that it does preclude me from representing the battalion guns on the regimental stand itself. I only see that working if I increase to three stands and reduce the figure count. 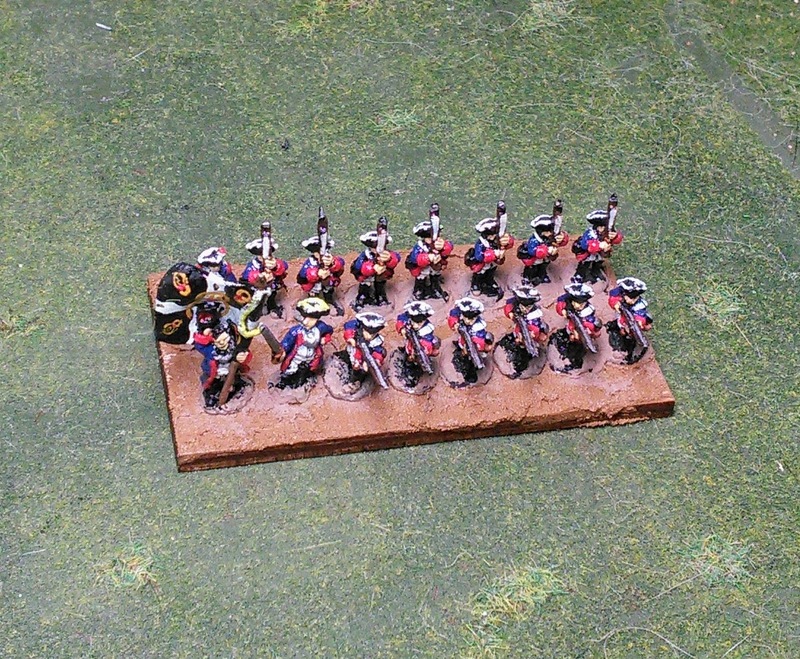 Instead I may try just aligning a 3lb cannon stand with each regiment for now. Before departing to my course, I broke down and joined the Old Glory Army and sank my amassed fortunes from the summer miniatures sales into reinforcements. That package was waiting for me on my return, so a whole new White Menace awaits me for the winter. 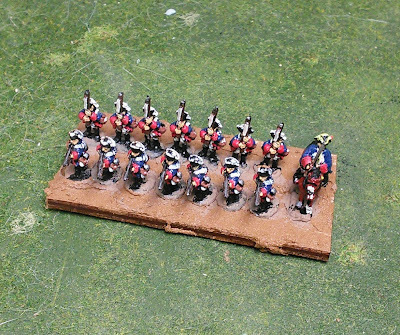 To compound my madness I even opted to start a 18mm Russian army to expand the options for battles with Jon's SYW collection. 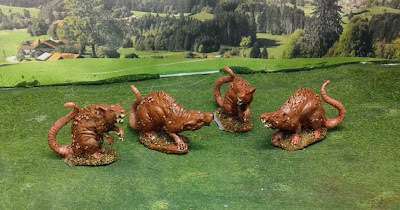 With this long meandering diatribe aside, does anyone have any better suggestions for basing this new collection? Your 10s look great! 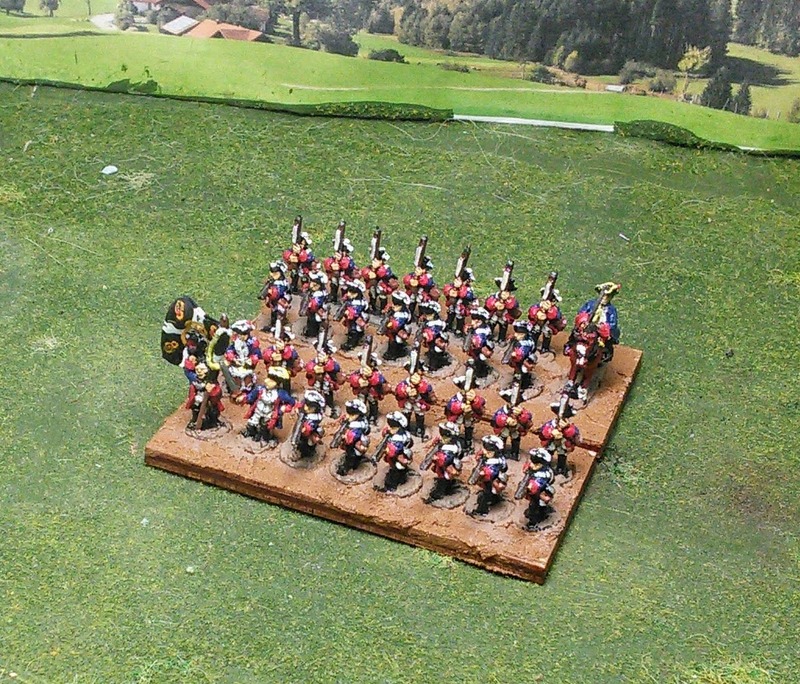 If you have an abundance of "1/2 size" bases and you are planning to base grenadiers and cavalry on this base, why not build an infantry battalion with the same footprint? You would have one battalion per base (BMU). I would put command on each base, centered with mounted colonel and foot command. 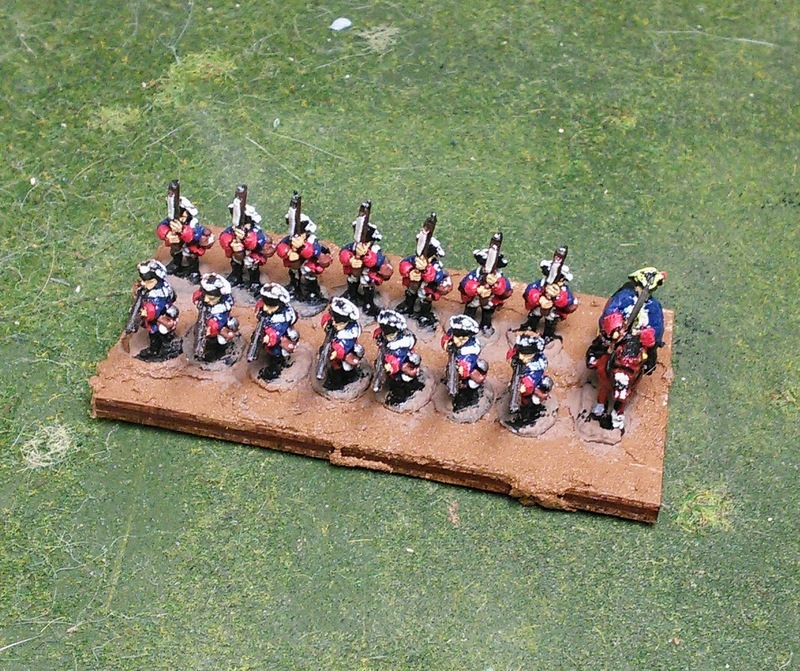 From your photo, it appears 12 foot plus mounted colonel on each base would work fine. Give that a try. 16-18 foot with command will look even better! 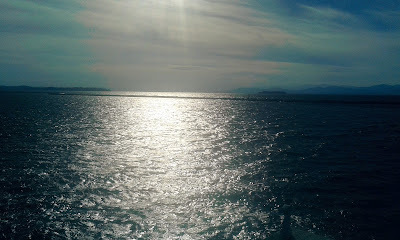 Nice, tranquil photo of Lake Champlain. Did you get a chance to visit any of the historical sites situated along the lake? One of us, one of us . . . ;) Nice to see you diving into the period. And I agree - so much of where the modern world comes from begins in the 7YW. Thanks. With our hobby I find a free book is often the most expensive gift. I have long resisted the 7 Years War. I think I am safe from it until at l;east my retirement! 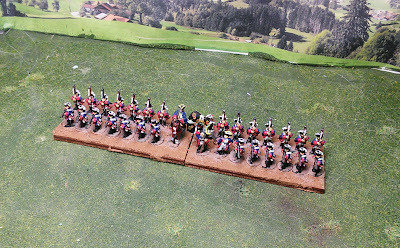 Another plus for the 7 YW is that the British Navy was not yet as dominant as it would become during the Napoleonic Wars, so the naval side is much more balanced. I admit that since moving to a larger home back in 2011, 6mm has lost some of its appeal to 10mm. Heresy I know, but there is a fine line between the two where gross colors overwhelm the detail. I find that 28mm and 10mm have become my new goto sets. My only regret it your not doing 7YW yet is that I actually had to work to find painting guides and resources, rather than just cribbing your blog guides! Kronoskaf has been my goto site so far. As for scale I am tending towards 28mm for Skirmish and 10mm for mass battle. The big exception being Impetus where I am matching Jonathan's 28mm collections.